Preheat the oven to 200°C. Place lamb in a roasting dish. Combine the breadcrumbs, herbs, garlic and pesto in a bowl, mix well. Press the breadcrumb mixture evenly over lamb racks. Roast lamb uncovered for 10 minutes. Reduce oven temperature to 160°C and cook for a further 15-20 minutes (medium rare) or cook until lamb is cooked as desired. Remove lamb, cover loosely, and rest for 5 minutes before cutting the racks into cutlets. 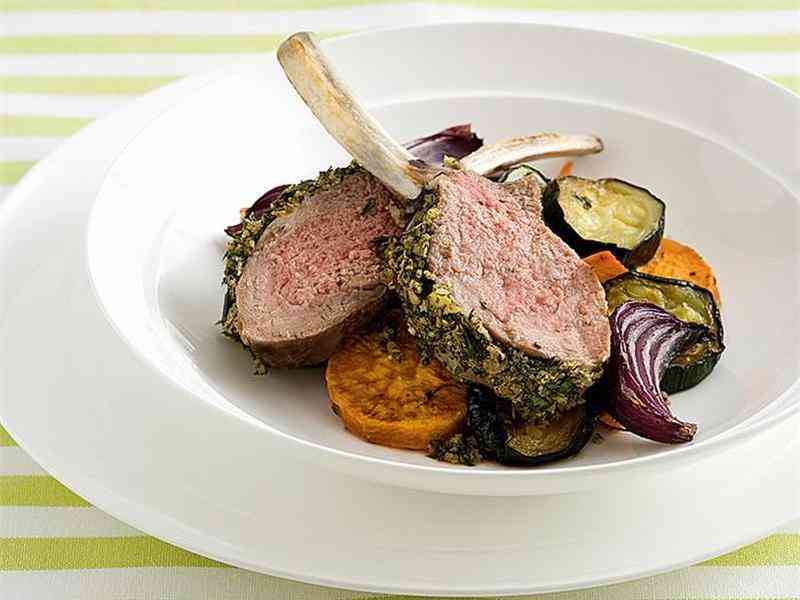 Serve lamb with roasted vegetables including red onion wedges, zucchini and sweet potato.